The proliferation of fast casual restaurants and widespread reach of more multicultural types of these betrays the constant go-go-go nature of our culture and desire for variety. Whether it is the build it how you want it outlook or the dressing up of what used to get away with bare minimum design and layout, restaurants are rolling in this direction and pushing out food that meet the needs of working people. Not only is the variety a demand from scrutinizing diners but the sourcing also is. Buzzwords kick in. Restaurants need to meet those desires. We see with the new opening of another Luna Grill this to be true. 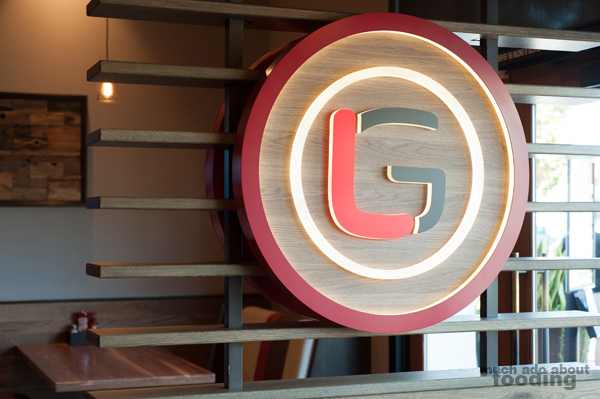 Cerritos recently welcomed the newest Luna Grill location, a Mediterranean fast casual chain that has proven itself in San Diego, Orange County, Dallas, and now areas of Los Angeles. This particular one is set in a plaza across from the Cerritos Mall where plenty of other fast casuals reside. It is decorative inside, conveying a modern feel. Families took up a lot of the booths, and the vast menu made it a little difficult to come up with a decision right off the bat with so many great choices. We eventually managed to make our selections and were not expecting the quantity that each plate loaded us with. 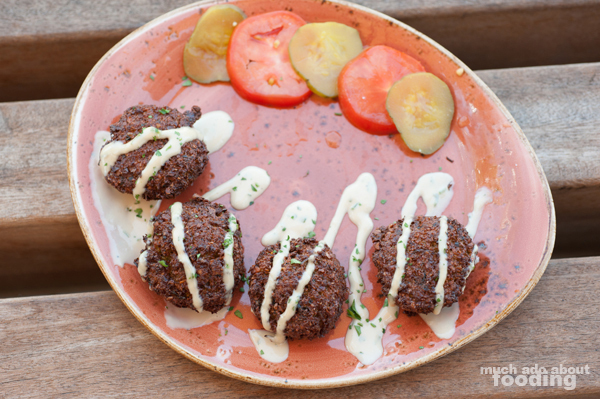 We began with a small appetizer of their Falafel ($3.75 - four rounds of handcrafted falafel topped with tahini sauce), a traditional Mediterranean item that has versatility in how it is enjoyed - snack, in a wrap, on a full plate, etc. They came drizzled with a tahini sauce at four to the plate but looked quite dark to me. These mounds of chickpeas and blended herbs are typically deep-fried, and these were no exception. They had a good crunch but were a tad saltier than expected. The plates were enormous once we got to our entrees. Each came with heaping amount of sides and accompaniments. The side salad with each felt under-dressed because of the great amount of vegetables. Between the choice of carrot slices or a grilled tomato, we found that it depended more on your preference as one is crunchy and seasoned while the other is slightly juicy and smoky. 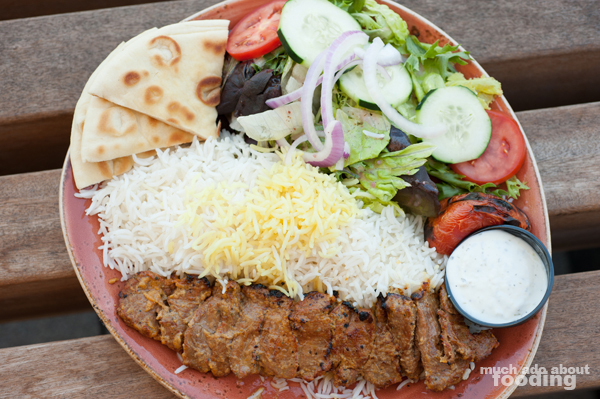 They said that their most popular plate was the chicken kabob but our eyes were already on the lamb kabob and gyro plates. 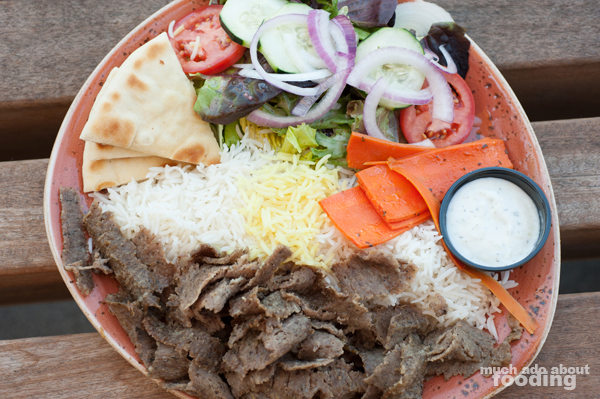 All choices were part of their Signature Plates menu which come with house salad, basmati rice, pita bread, cucumber-yogurt dip, and choice of carrots or grilled tomato. We had the Lamb Tenderloin Kabob ($13.50 - marinated grass fed lamb) and Gyros ($11 - blend of beef, lamb, and traditional spices). The lamb ended up being slightly tough but not too much so. The rice, fluffy and plentiful, made for a great base for each of the meats. 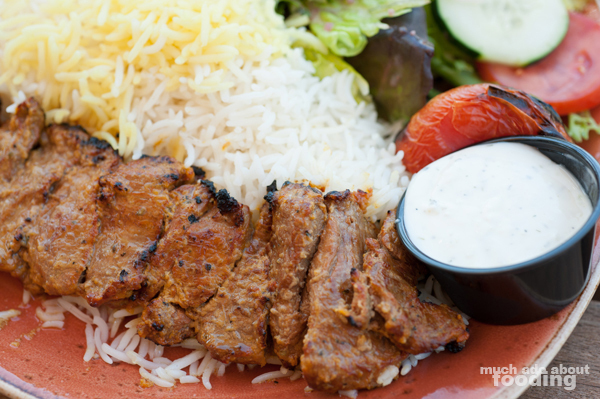 Each shaving of the gyro meat was flavorful and soft, playing well with the rice. The pita was slightly tough. When it came to desserts, these were miniature but for good reason. 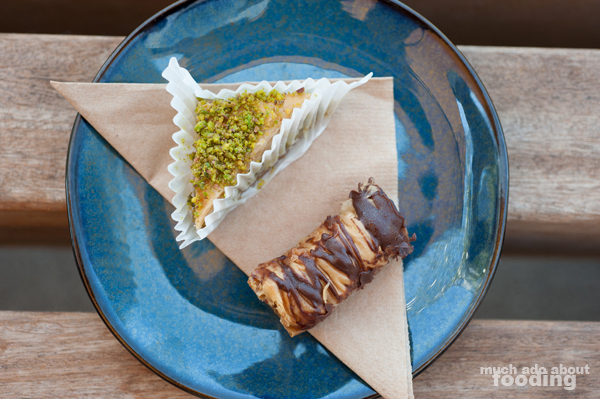 Laden with the sweetness of syrup and perhaps honey, our Mini Baklava ($1.50) was weighed down with stickiness but tasty. I preferred the Mini Chocolate Nut Roll ($1.50) in this case though because the chocolate cut through the saccharine sweet. 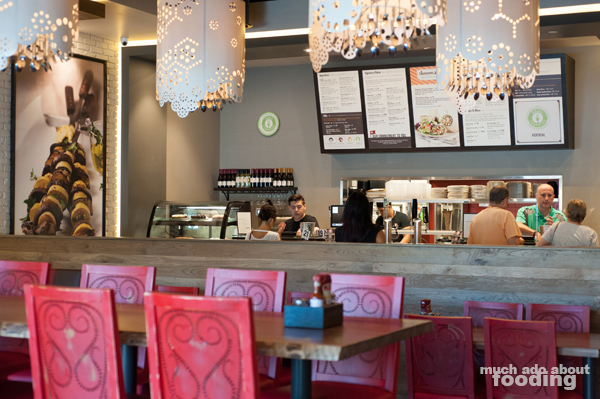 Overall, congratulations to Luna Grill on their latest expansion. You can find them at 11261 183rd St, Cerritos, CA 90703.